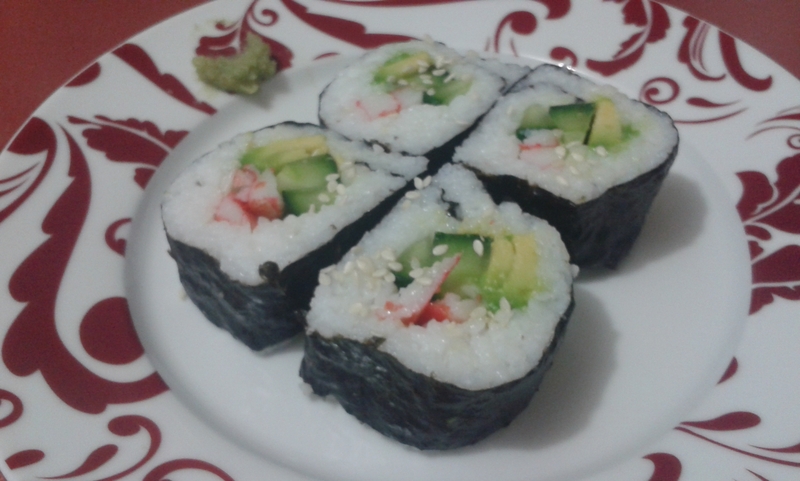 For my first attempt at making sushi, I think I did a pretty reasonable job! I didn’t use any raw fish though. Not sure where to get proper sushi-grade fish locally. These were similar to California rolls: “crab” sticks, cucumber and avocado. First ever attempt at rolling sushi!